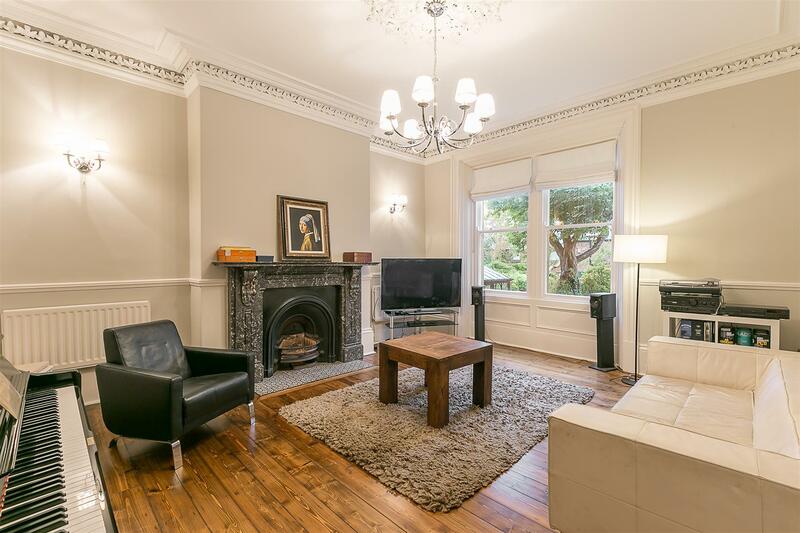 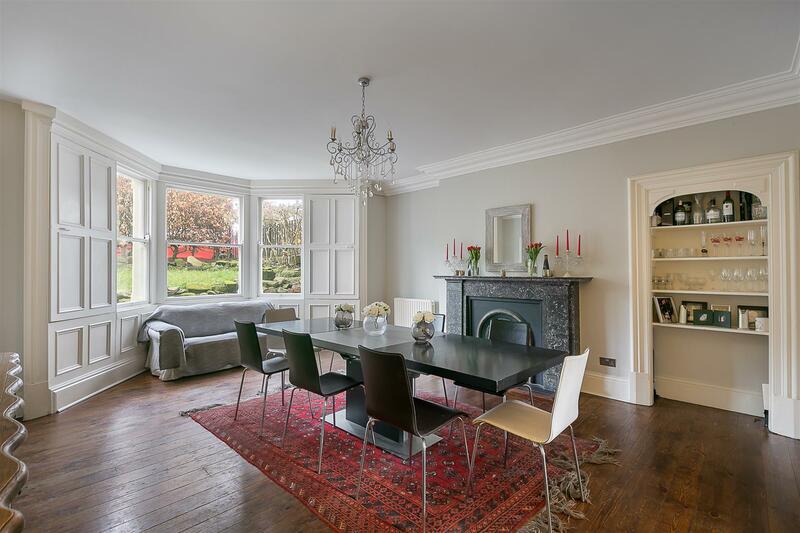 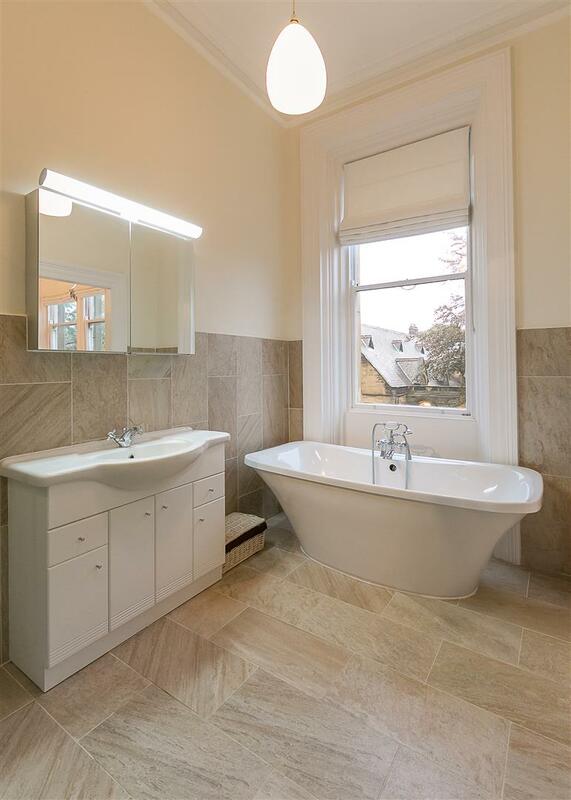 Super stylish Victorian townhouse with south facing rear gardens perfectly placed on Burdon Terrace within the heart of Brandling Village Conservation Area, Jesmond. 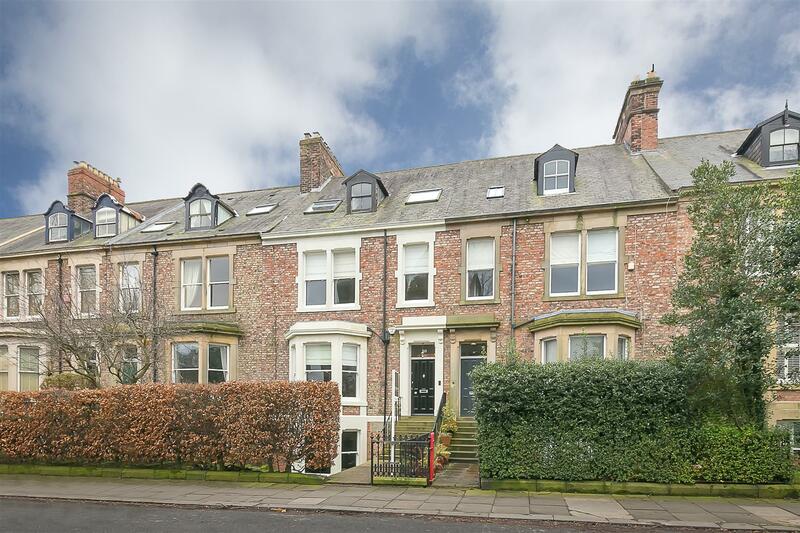 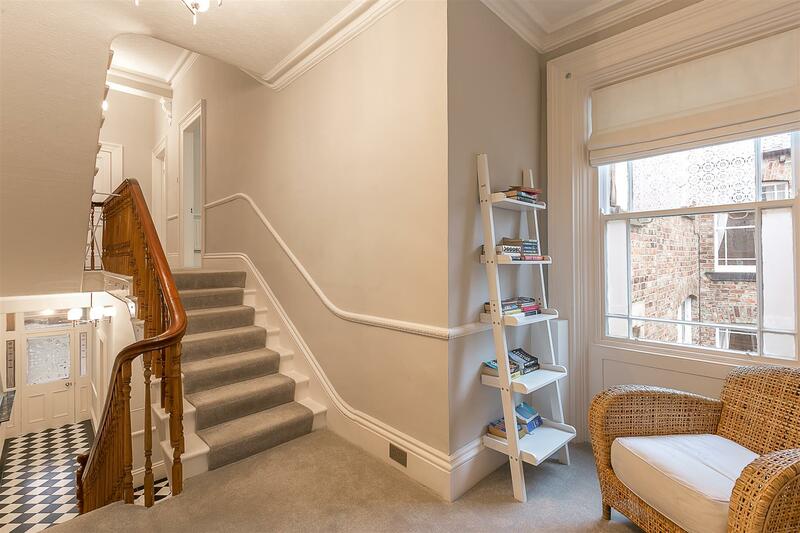 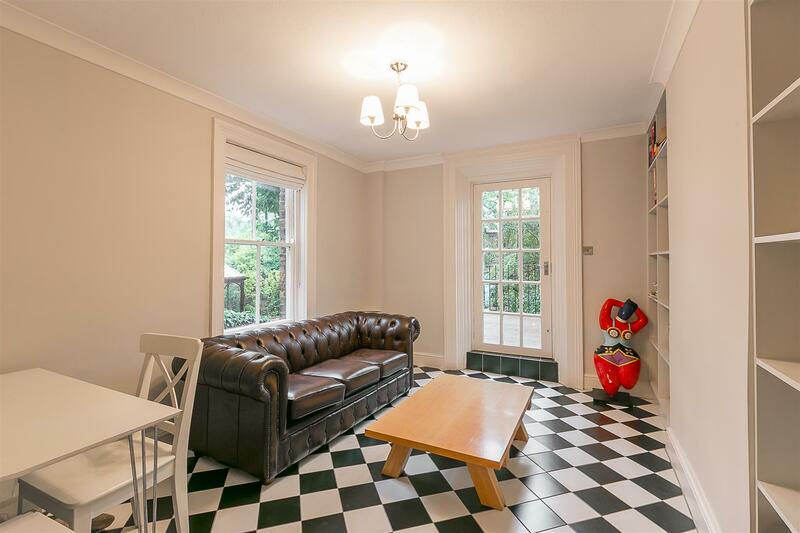 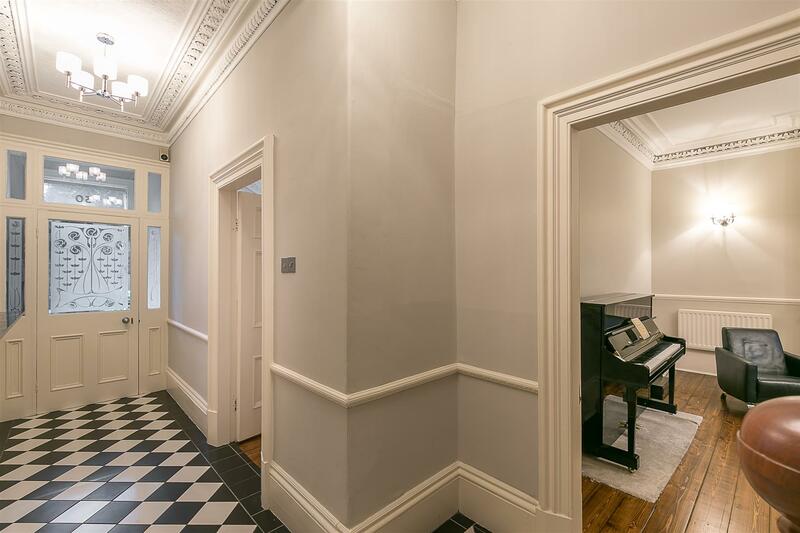 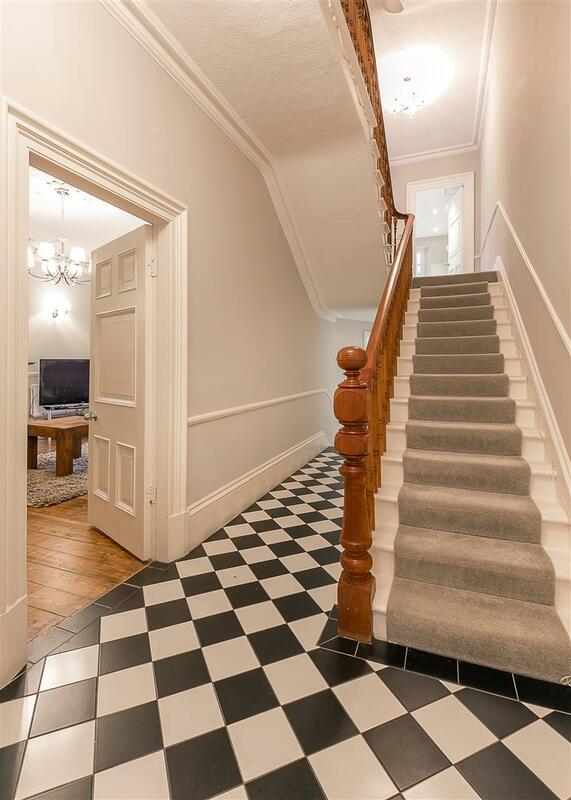 Burdon Terrace, a proud, tree-lined avenue, constructed circa 1880, is within walking distance to some of the region s finest independent schools, the café culture of Clayton Road, Exhibition Park and indeed Newcastle City Centre itself. 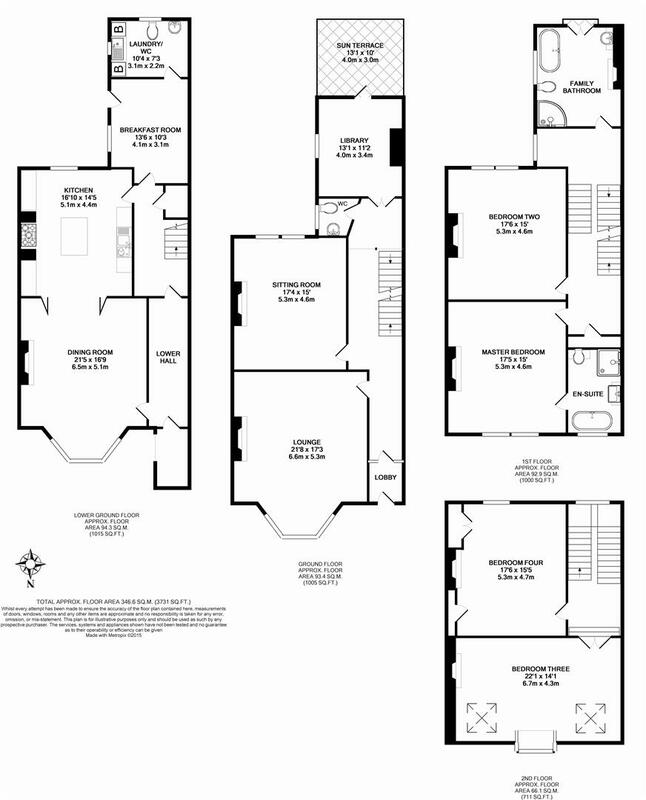 Boasting 3,700 Sq. 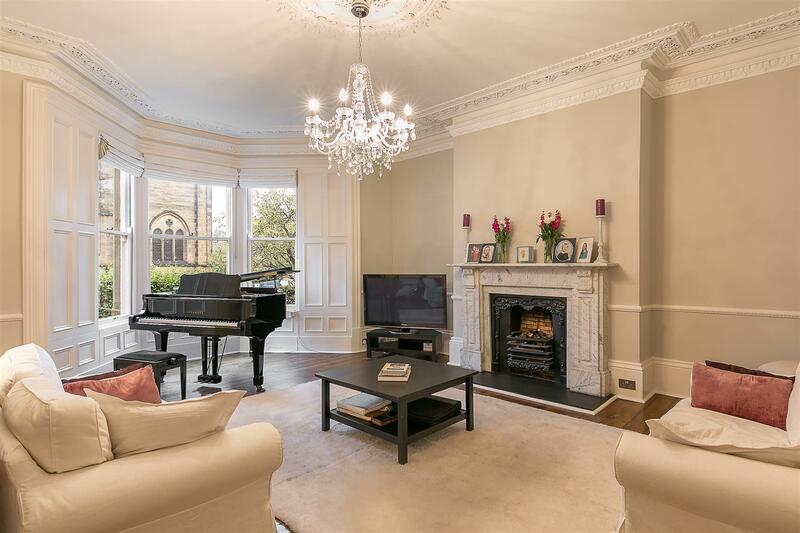 ft, this fine family home manages to retain a wealth of period charm including elegant fireplaces, sash windows and tall ceilings with ornate cornices and briefly comprises entrance lobby through to entrance hall with tiled floor and staircases to the lower ground floor and 1st floor; lounge with walk-in bay and marble fireplace; sitting room with south facing sash and marble fireplace; ground floor WC and library with dual aspect and French door out to a raised sun terrace. 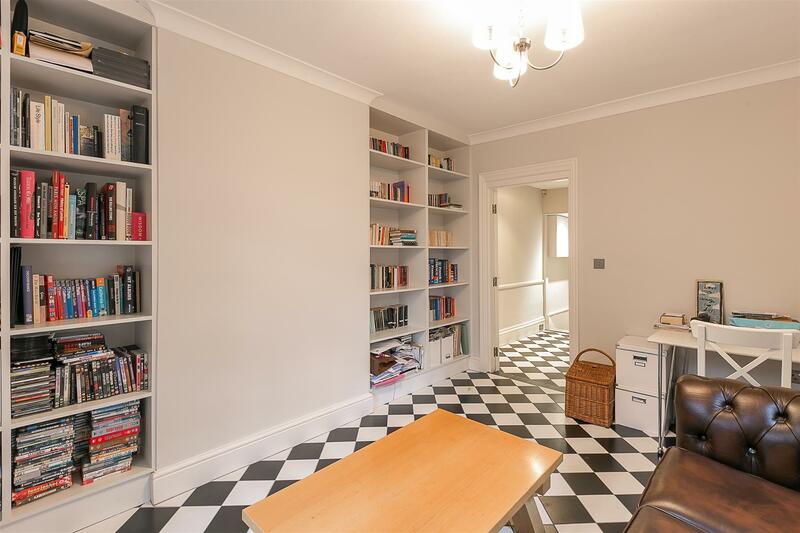 The lower ground floor offers dining room with walk-in bay and working shutters, polished wooden floors and bi-fold doors to kitchen with hand painted units including island and granite worksurfaces; lower hall with access to front garden and understairs storage; breakfast room and utility room/WC. 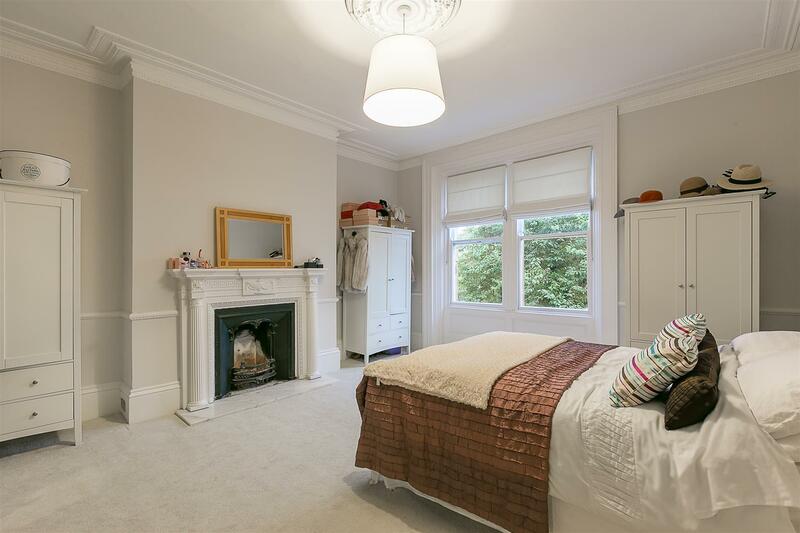 To the first floor, the master bedroom with marble fireplace boasts an en-suite bathroom with free-standing roll-top bath and step in shower cubicle; bedroom two, again with period fireplace and pleasant views out over the gardens and the family bathroom, a generous bathroom with Juliet balcony over the rear gardens and cast iron fireplace. 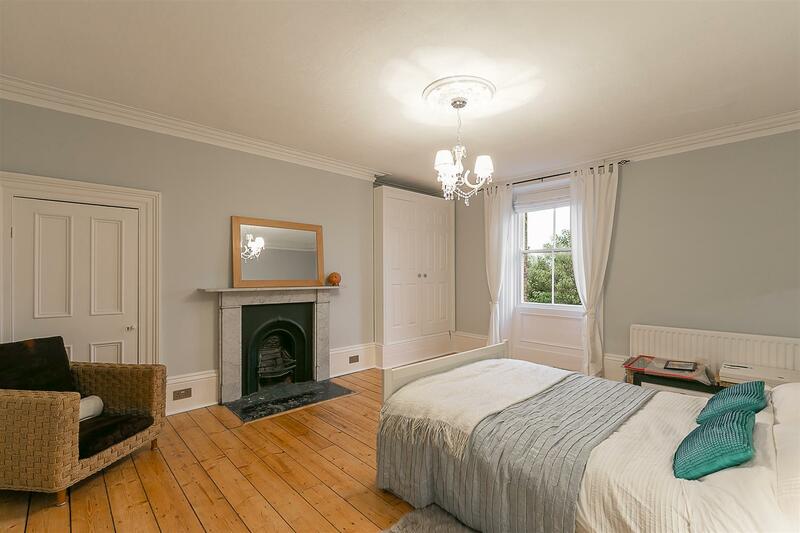 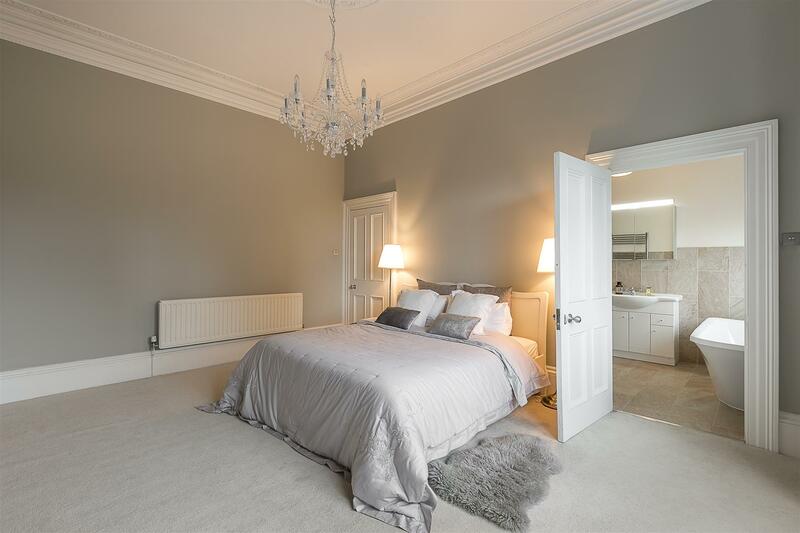 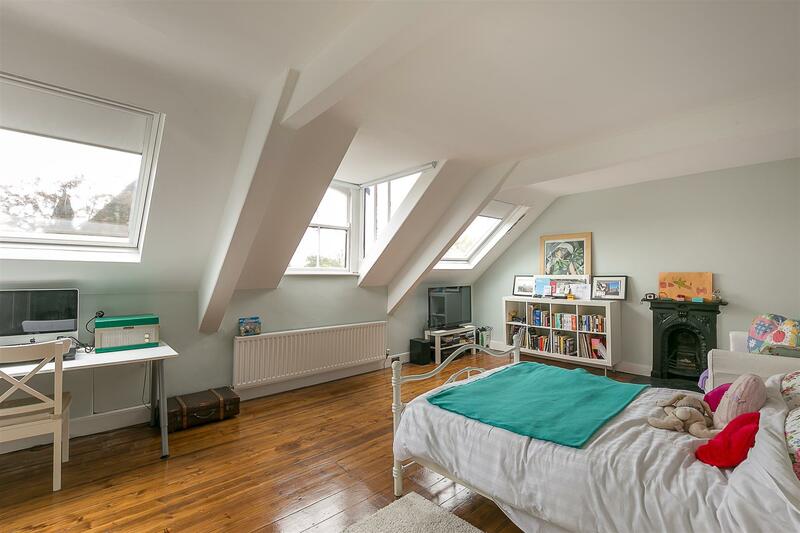 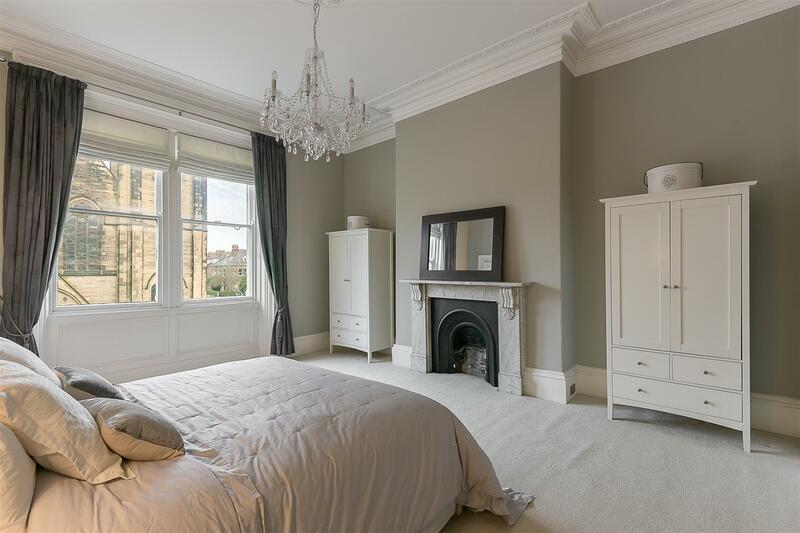 To the second floor, bedroom three, an impressive room occupying the full width with dormer window and two rooflights and bedroom four, another comfortable double with south-facing sash, marble fireplace and drop-down ladder providing access to a part boarded roof space. 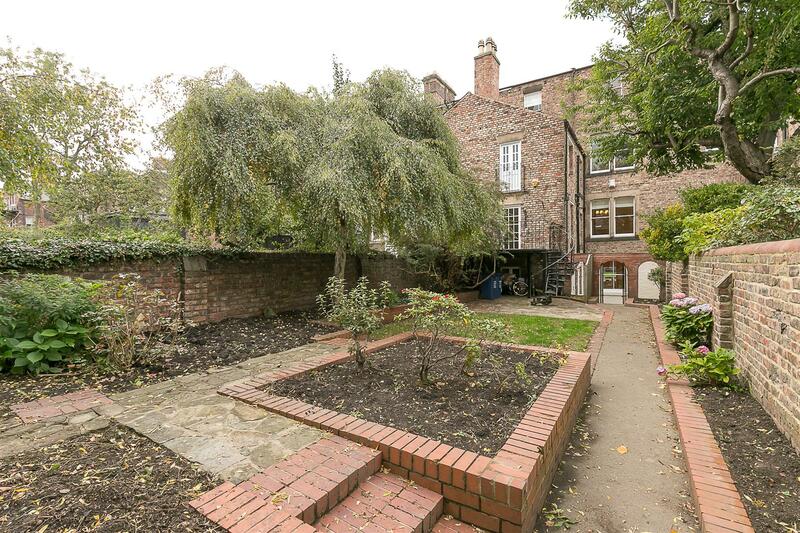 Externally, a pleasant town garden to the front laid mainly to lawn with wrought iron railings. 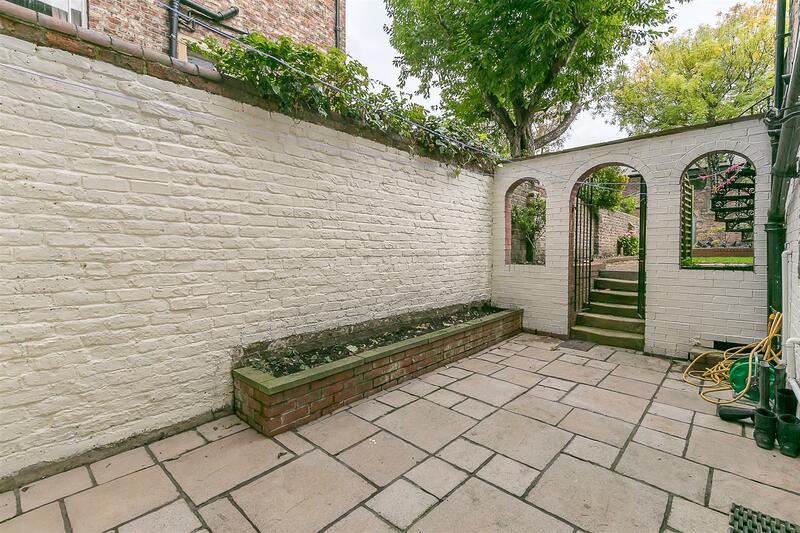 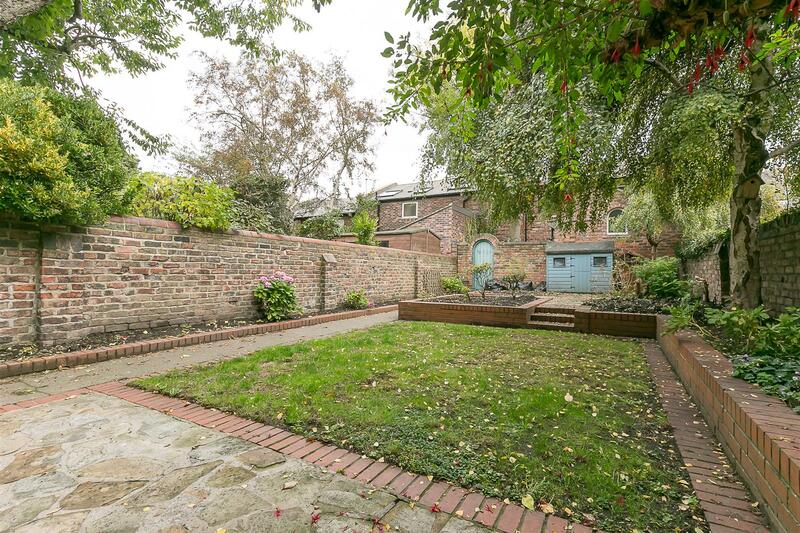 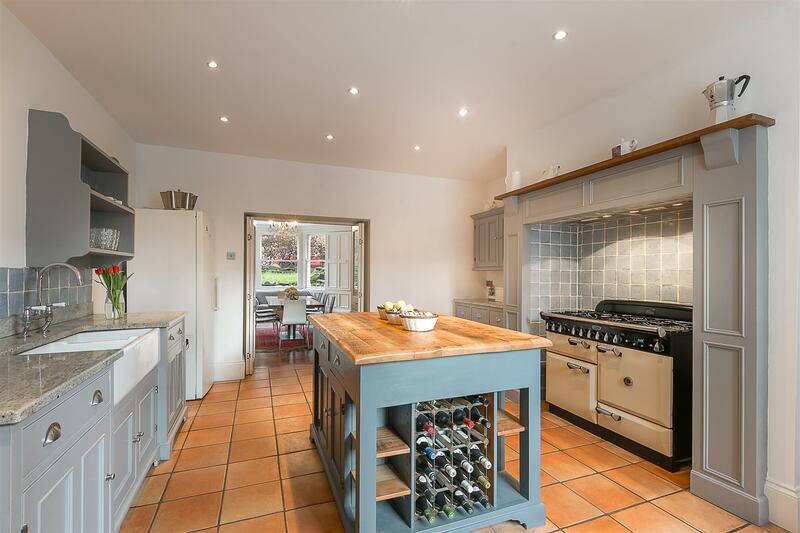 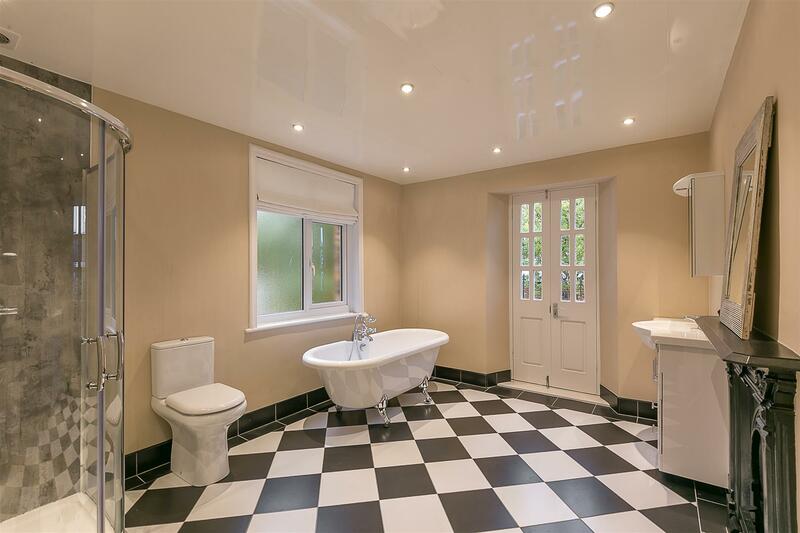 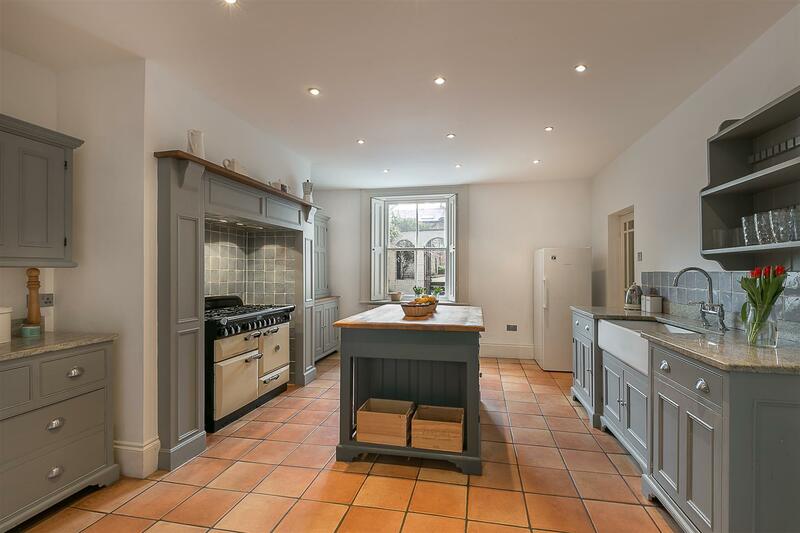 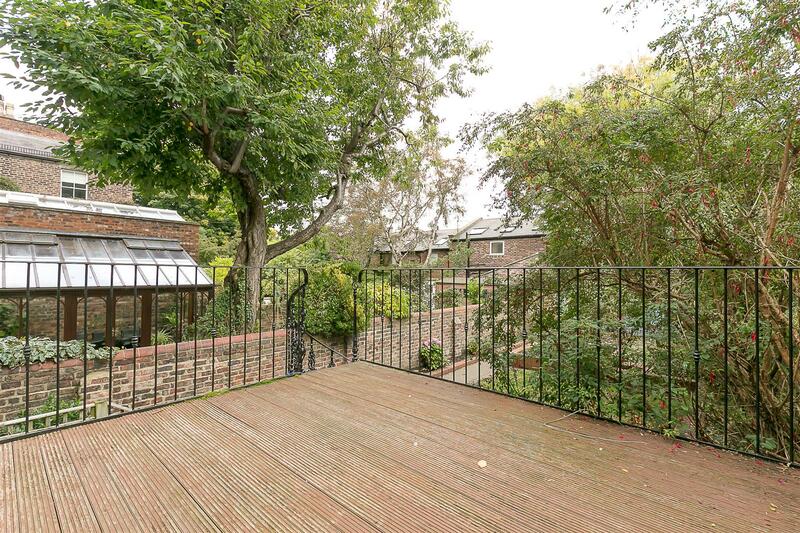 To the rear, a delightful, south-facing walled garden, again laid mainly to lawn with paved patios, planted areas and gated access out to Clayton Road at the rear.